…yes there are better things I could be doing …. This entry was posted in Uncategorized and tagged #AddaWordRuinaMovie, blog, fuuny, laugh., twitter. on October 5, 2013 by edimminger. This is getting ridiculous! Today they had a closed door meeting to address issues that were supposed to be addressed the last three times and guess what? No resolution. What is the point? Well at least the defense is getting some more money. I have linked the article about today’s hearing and it is worth a read. It brings up how silly it is for the defense to want to deny media access when the defendant was all over the media. They also want to sequester the jurors, move the trial and monitor the jurors twitter accounts. Read the article for Mr. Martinez’s response. He is the only voice of reason. This entry was posted in Uncategorized and tagged defense, jodi arias, Martinez, Motion, murder., Travis Alexander, trial on October 5, 2013 by edimminger. 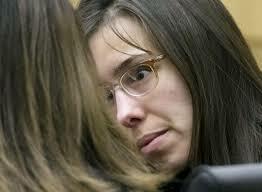 Now I am hearing (via Jeff Gold, esq) that there is a closed door meeting for Arias this Friday. Anyone have a clue what this one is all about? This entry was posted in Uncategorized on October 2, 2013 by edimminger. 1. You will still get your mail (more bills). 2. If you are currently enjoying nature in one of our national parks you now have 2 days to clear out. 4. ‘eVerify’, the government’s system for owners to check the legal work status of employees is shut down. (I did not see that one coming). 5. Seniors: Good News! You will continue to get Social Security. Just don’t lose your card as they are not issuing any right now. 6. The IRS has suspended all audits! More time to hide stuff! 7. 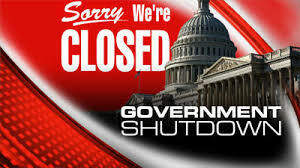 Number of furloughed government employees? Estimates are 800,000 to 1 million. 8. Congress ( and the President) will continue to get paid. (Saw that one coming). 9. If the shutdown continues into October the money helping wounded Veterans will run out. This could have an effect on more than 3.6 million veterans. My Dad was a vet and this is unacceptable. Oh, but they will still have the money for their tombstones. If you are wondering why I all of a sudden went into politics (which I normally hate) I just couldn’t resist this story. Also no good trials right now. This entry was posted in Uncategorized and tagged congress, government, irs, polotics, president., shutdown, veterans on October 1, 2013 by edimminger. There is a settlement hearing scheduled for October 24th where a retired judge and the attorneys from both sides will sit and discuss a settlement. This could be the end of the case. I have a link to a short video with Jeff Gold, an attorney who has been in Arizona on this case, going over the possibilities. Very interesting. This entry was posted in Uncategorized and tagged Jeff Gold., jodi arias, murder., settlement, trial on October 1, 2013 by edimminger.